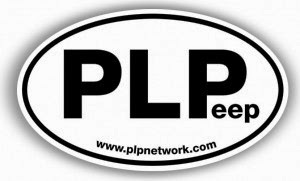 "The most important part of PLNs, in my opinion, is how they can help us connect to other humans, to help us better understand the world, to negotiate knowledge and meaning, and of course, to help us to learn." Start small. Add an additional step, perhaps each month. Go as fast or as slow as you choose. You'll find that, as Alec says, it is all about connecting-- to people and their ideas, then adding yours to the mix-- toward an accomplished global practice in the best interests of all students. There are many resources on the web that lay out plans for developing a PLN. Google "build a PLN +educator" and take your pick. Or see if these brief suggestions which flow from the steps of my personal journey don't work for you. You may decide to skip a step here or take two steps there-- But do take that first step!!! You begin to read posts from a few bloggers each week. You might want to start with the ones below or check out the list of edubloggers they read on their blogrolls for additional suggestions. You continue to read varied blog posts and join in the conversation by commenting on the ideas in their writing. You begin to use a social bookmarking service such as Delicious. You tag your bookmarks; you encourage your colleagues to do the same; you use the network feature of delicious increase your number of resources to assist you in your work. You begin to use RSS and a reader. You want to save time and have the content on their blogs come to you. You begin to look to the web for professional development. For example, the K12 Online Conference, the totally online, free conference that never ends, has 3 years of archived presentations. You begin to collaborate with your fellow administrators or teachers on a wiki or Google doc. You decide to explore Twitter, a micro blogging tool which limits what you say to 140 characters.